The world of jam extends way beyond simple strawberry (although it's a very good place to start!). 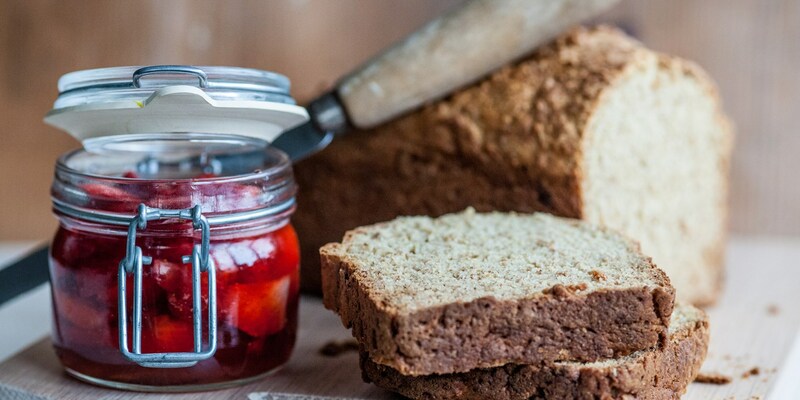 Too often dismissed as a pastime only WI members can enjoy, jam making is a fantastic way of preserving fruit which would otherwise go to waste (particularly seasonal gluts of garden-grown offerings) and, once you've mastered the basics, it offers a fantastic blank canvas for experimentation. Jam can be sweet or savoury, fruity or spicy, and can be slathered on burgers, stirred into porridge, sandwiched between cakes or simply spread across a good piece of toast. Learn how to make jam to suit every taste with our diverse collection of jam recipes. Karen Burns Booth's Easy raspberry jam recipe is a fantastic preserve for beginners to tackle, or try Adam Bennett's No-cook strawberry jam recipe if cooking with children (young helpers and boiling sugar don't mix well, after all). Karen's Apricot jam is handy to have in the cupboard for icing cakes as well as a tasty treat for toast, or give Ollie Moore's Bacon jam recipe for a wonderful (and unusual) barbecue condiment.